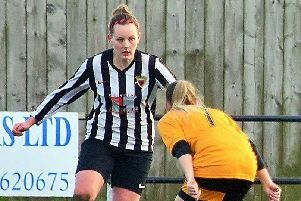 It was league action all the way at the weekend in the North Northumberland League. 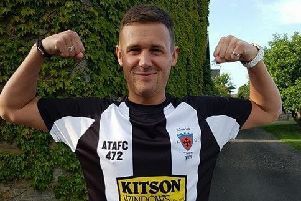 Leaders Newbiggin continued their relentless march towards the title, maintaining their 100 per cent record with a 12-0 thrashing of Ashington Town. There were also good wins for North Sunderland, Lowick United and Wooler. The game between Amble Masons and Amble St Cuthbert was postponed. The home side dominated from kick-off and scored freely throughout the match to net 12 goals before full-time. Stephen Lucas led the way with four goals, hat-tricks came from Kevin Halliday and Ross Muter, with Matty Nelson scoring twice. During the first half, Harry Woolhouse gave the home side the lead but North Sunderland equalised before half-time. The visitors pressed after the break and added four more before the full-time whistle. Ryan Thompson, with four goals, plus an Adam Weightman strike made up the visitors’ total. With the wind at their back, Lowick netted twice through Keiran Bowell and Bryan Tait to lead at half-time. Bedlington played some good football after the break but Lowick defended well and held on to take the points at the final whistle. In windy conditions, Wooler played well and dominated from kick-off. Four goals in either half came from Luke Strangeways (2), Jack Strangeways, Sam Cowans, Brandon Crombie and substitutes Liam Nesbitt (who also netted two) and Connor Cowans . Table – Newbiggin 14-42, North Sunderland 13-31, Alnmouth United 15-27, Lowick United 16-23, Wooler 12-20, Craster/Embleton 15-20, Alnwick Town dev 14-20, Amble Masons 14-14, Amble St Cuthbert 13-13, Ashington Town 13-9, Bedlington Seniors A 17-3. League – Newbiggin v Alnmouth United; Alnwick Town Dev v Amble Masons; Amble St Cuthbert v North Sunderland; Ashington Town v Craster/Embleton; Bedlington Seniors A v Wooler.